As the catastrophic Syrian civil war carries on, the exodus of refugees into Europe has become a security issue, creating a crisis that has become dangerously divisive within the EU – and has left hundreds of thousands of refugees within Serbia’s borders. But, there is more to it. This crisis has the potential to either supercharge or undermine Serbia’s domestic and foreign policies by becoming domestically divisive or altering its EU accession potential. 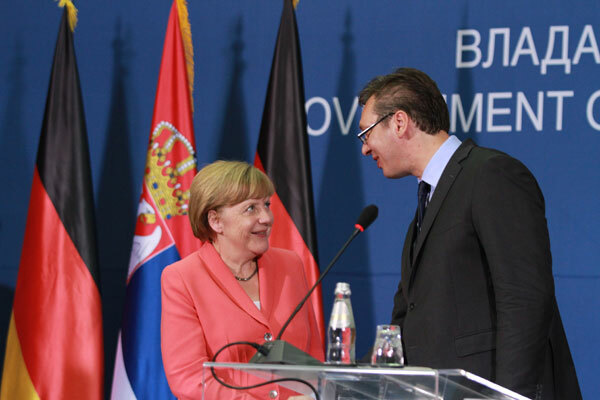 This gives rise to an extremely important question the EU must ask itself – what about Serbia? 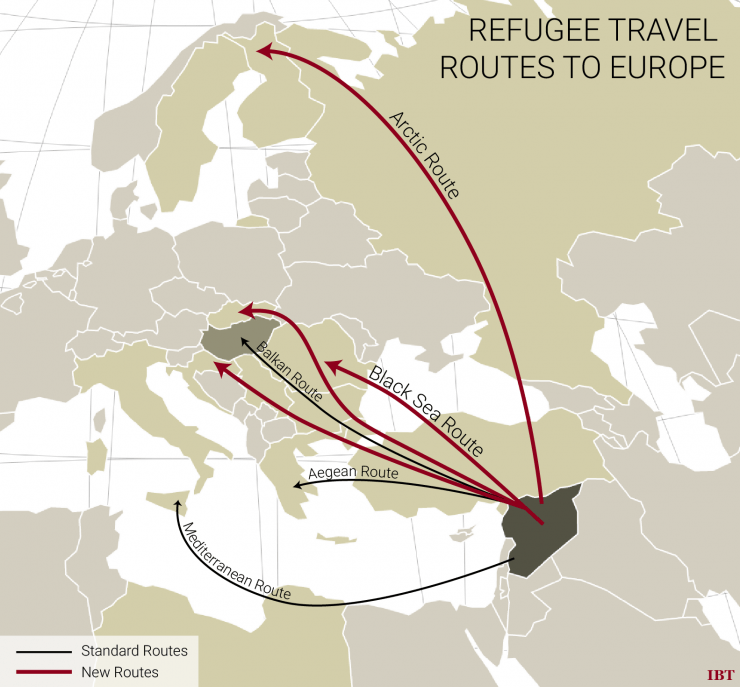 As Nick Avila wrote in “Flashpoint Europe: The Refugee Crisis and the Fate of the Union,” Syrian refugees are increasingly using travel routes through the Balkans since the cessation of Operation Mare Nostrum. These routes have been of critical importance since antiquity, being used for trade and war between two mighty continents. Therefore, the Balkans have always been considered on “the crossroads” between them – a coveted geostrategic location that has given it a tumultuous past, including 500 years of foreign occupation by multiple empires. The EU is witnessing the 21st century’s first large migration wave moving towards its borders. This influx of people has forced countries on its Balkan route to manage hundreds of thousands of desperate, destitute people. Not yet EU members, these countries met the task with humanity and relative efficiency – only to find out that some EU countries had suspended the principles of human rights and other basic values that the Union is built upon. The image of the EU as a community of values with high standards of human rights protection is seriously undermined. Currently, the EU’s Balkan periphery states are treating the influx of migrants as a threat to their social and economic sectors. This has come about in large part by institutionalizing post-war “securitizations.” To clarify, after WWII, Europe “securitized” itself in order to prevent another war. This meant the creation the European Coal and Steel Community – the forerunner of the EU. Along with NATO, this secured Europe during the Cold War. However, this strategy was disrupted by the disintegration of Yugoslavia, which significantly traumatized both the Balkans and the EU. From a liberal perspective, the chaos that unfolded in the 1990s highlighted the EU’s inability to mobilize and act internationally in the name of its liberal core values. From the rationalist perspective, it highlighted an inability to protect regional stability at its borders. This trauma intensified and expanded Europe’s institutionalization of security in the social, political, and military sectors. More specifically, these considerations led Europe to “securitize disintegration,” and adopt a policy of “universal values,” eastward expansion, and integration. It even led to “the European pillar” of NATO – the European Security and Defense Identity (ESDI). With all of this in mind, it becomes clear why and how EU members became so security-focused. Serbia’s move toward Europe has not been easy, in large part because of deep-rooted domestic political divisions. These divisions, combined with Serbia’s international role in the migrant crisis, have created a delicate balance which, if disturbed, could lead to significant European consequences. This balance has two main facets – the “us/them” dynamic and security divergence. First, there exists a delicate balance with regard to the “us/them” relationship between Serbia and the EU. Even after the NATO air campaign, Serbia has made it a priority to move towards a stable, modern Europe, thus reducing the “us/them” gap. Serbia has arguably been on this path since October 2000, when the “Bulldozer Revolution” symbolized a popular intolerance of totalitarianism, communism, aggression, and violation of human rights. This is not to say that nationalists stood by; they put up a fight to widen the gap between Serbia and Europe, and the two primary discourses in Serbia – the nationalist-liberational and the civil-democratic (pro-EU), became deadlocked. 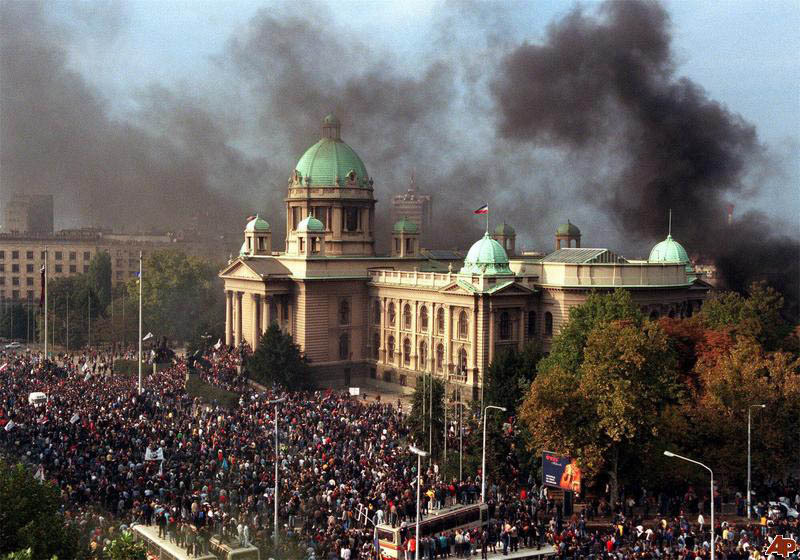 This became readily apparent in 2003, when Dr. Zoran Đinđić, the “first democratic prime minister,” was assassinated for his pro-EU reform agenda and his abrupt extradition of Milošević to The Hague in 2001. In 2008, the pendulum arguably swung in the direction of Europe when Serbia reelected Boris Tadić as its president, and his coalition won a victory soon after in the parliamentary elections. However, due to recent delays in Serbian EU-accession, the Greek financial crisis, and the EU’s proclaimed “enlargement fatigue,” the nationalist-liberational discourse has been gaining momentum, swinging the pendulum away from Europe. According to the Serbian Office for EU Integration, public support for EU membership fell from 72% to 51% between 2003 and 2012. Similar numbers were shown by other polls, including one done in 2014 by the EU Delegation to Serbia and Medium Gallup. However, the “us/them” dynamic isn’t the only complicated balance. The second one is a divergence in terms of security. Instead of moving closer to Europe’s culture of securitization, Serbia has been prodded along the path of desecuritization. Sanctions, war crimes tribunals, and international isolation have pushed Serbia to abandon nationalism and accept responsibility for the breakup of Yugoslavia. Furthermore, EU accession requirements have driven desecuritizations with regard to minority rights, normalization with Kosovo, and economic privatization. This divergence of securitization and desecuritization has led to a emphatic conflict between the liberal universalism sold by the EU and the massive border securitization/nationalist bickering among EU member states. More problematic is the deportation and isolation of refugees in Serbia by EU neighbors who have rebuked Serbia for ethnic intolerance in the past. Some Serbs find this hypocritical. So, what does this mean? It means that people in Serbia are already on the fence collectively with regard to EU accession, and as time progresses, the EU loses supporters within Serbia. This negatively upsets the political balance in Serbia, but so far not too severely. However, the bickering and the closing of borders with Serbia by EU members as a result of the immigration crisis, further endangers the balance by (1) exacerbating the “us/them” dynamic between Serbia and the EU and (2) emphasizing an ideological tension with regard to security and values. Serbia’s involvement in this matter is a more than a technical issue, and it will likely influence Serbia’s EU accession. Therefore, the migration crisis connects Serbia urgently to European Union security politics. In other words, the attraction of the EU is waning in Serbia’s view, and the degree of how well (or poorly) Serbia is supported during this crisis will influence the degree of Serbia’s impact on European affairs. That being said, Serbia’s positive reaction to this crisis represents an enormous bargaining chip with potential to influence its accession negotiations and possibly re-prioritize or hasten them. It also gives Serbia political leverage when dealing with its regional neighbors on a bilateral basis. Serbia is even better-positioned considering its current chairmanship of the OSCE. The elites in Serbia are proven rational actors, so it should be expected that they will immediately translate Serbia’s goodwill and emphasis on humanitarian assistance into political capital domestically, regionally, and throughout Europe. So, again, what about Serbia? The specific answer remains to be seen. Europe has spent the post-WWII years securitizing in order to protect its sovereignty and its values, but this institutionalized security culture has now collided head-on with those values, leaving a desecuritized Serbia in a unique position. There is no question that this crisis represents a potential watershed event with regard to Serbia’s political future, both domestically and internationally, but at a tertiary level, this delicate situation represents a significant turning point for European security policy. Even President Obama and President Putin have recognized this at the UN General Assembly, highlighting Serbia’s position and importance. When thought of this way, the consequences for Serbia take on a greater level of significance. MAJ Michael Anderson is a U.S. Army Armor Officer with extensive combat and humanitarian experience with the 82nd Airborne Division’s RSTA units and a 2013 Olmsted Scholar in Belgrade, Serbia. He received his B.S. 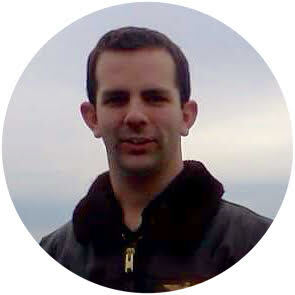 in Electrical Engineering from USMA in 2004 and his M.A. in International Security from University of Belgrade, Serbia in 2015. 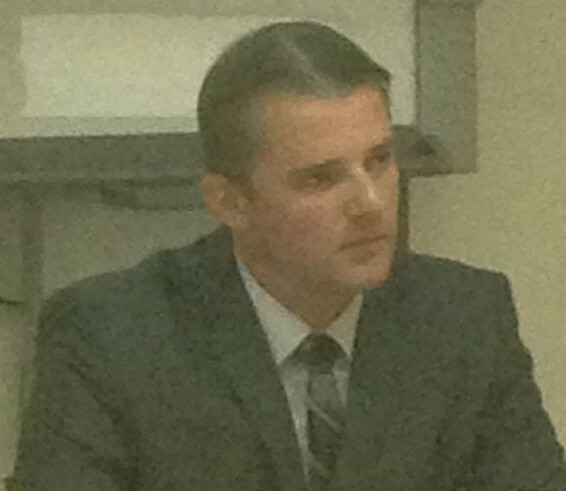 The views expressed here are his own and not those of the US Army or the George and Carol Olmsted Foundation. “Securitizing,” in the non-financial sense, is to frame an issue as an existential threat to some highly-coveted referent object. Securitzations occur throughout a linked series of sectors, including social, economic, and military. In the case of immigration, the referent object is usually cultural identity or economic stability. See Security: A New Framework for Analysis (1997) by Buzan, Wæver, and de Wilde. Also, this article will not delve into the Iraqi or Syrian power vacuums or their causes – that merits a separate analysis. The ESDI has evolved as a way for Europe to decisively intervene internationally without NATO, and is now known as the Common Security and Defense Policy (CSDP). See “Security, Culture, and Identity in Serbia” (2007) by Filip Ejdus. Ejdus, “Serbia, Culture, and Identity,” 47. Originally, the nationalist-liberational discourse is a product of the 500-year struggle to free Serbia from occupation and imperialism. More recently, it has asserted general disdain through polemics against the EU, NATO, the West, and the US. On the other hand, the civil-democratic discourse in Serbia is newer, rooted in political freedoms, respect for human rights, democratic values, and shared identity with Europe. “Podrška građana članstvu u EU pala na 57 odsto – Politika”. It’s been a rough year for European unity, and it’s not getting any better. The sudden flood of refugees from the Middle East and Africa is straining the unity of European Project more than any crisis in recent memory. The member states are divided and unable to agree on a common solution. Militarized borders are being reopened, refugee camps are being hastily erected, and armies are mobilizing, all echoing nightmares of an Old Europe and a time long thought to be in the past. The EU is at a pivotal moment: a crossroads which may determine the fate of the entire European project. The refugee crisis has amplified the serious disagreements amongst Europeans about the roles of national sovereignty and cultural identity in the future of the European Union. According to estimates from the United Nations High Commissioner for Refugees (UNHCR), nearly 200,000 refugees have arrived in Europe just in 2015, with over a million total asylum seekers estimated to be residing in the EU by the end of the year. With most of the refugees fleeing the embattled nations of Syria, Libya, and Iraq, there is a palpable fear in Europe that the influx of such a large number of Muslims will result in a spread of radicalism and a weakening of perceived national identities, spurred by the spread of homegrown terrorism already on the rise on the continent. In fairness, individual states are taking action because the European Union is not. There are two sides that have taken diametrically opposed moral stances on the issue: One side, comprised mostly of the EU-founding member nations of Western Europe, are citing humanitarian moral obligations and wish to see a pan-European solution to absorb the refugees and distribute them fairly throughout Europe. The second, comprised of the newer Eastern European members of the EU, are resisting allowing migrants to remain in their countries. These states, located on the periphery of the EU, are concerned about the political and economic shock that would come should the refugees stay, and are fearful of the perceived threat to their respective national identities if they absorb thousands of Arab Muslims. This summer, Italy cancelled the European Commission-funded Operation Mare Nostrum, an extensive maritime operation to provide safety for refugees coming into Europe from the Middle East. Without Italian ships dedicated to their rescue, many refugees are avoiding the perils of traveling on makeshift boats run by smugglers in favor of joining the already innumerable masses of Syrians and Iraqis escaping into Europe by the longer land route through Turkey. As a result, the western Balkans are receiving an ever increasing number of refugees as the Hungarian-Serbian border was seen as the main entry point through which they can travel to the more prosperous regions of the EU. Hungary has since made clear its severest objections to the presence of refugees within its borders and has loudly criticized fellow EU members for disregarding their own rules regarding asylum seekers. The Dublin Regulation requires the first EU country in which a refugee enters to register them for asylum and to provide humanitarian assistance. This arrangement leaves Greece and Italy, the main points of entry by land and sea respectively, to provide these essential services to the bulk of the refugees. Italy is already hosting over 170,000 mostly North African refugees, and the vast majority of those traveling into the EU via Turkey should have remained in Greece. Greece however, has been overwhelmed and unable to support them. The European periphery, plagued already by high unemployment, unstable economies, and troubled governments, is in a precarious position and needs immediate relief from the rest of Europe even without the overwhelming presence of so many refugees. The uncontrollable movement of refugees through the poorer regions of Europe has called into question the very notion of a border-less EU. 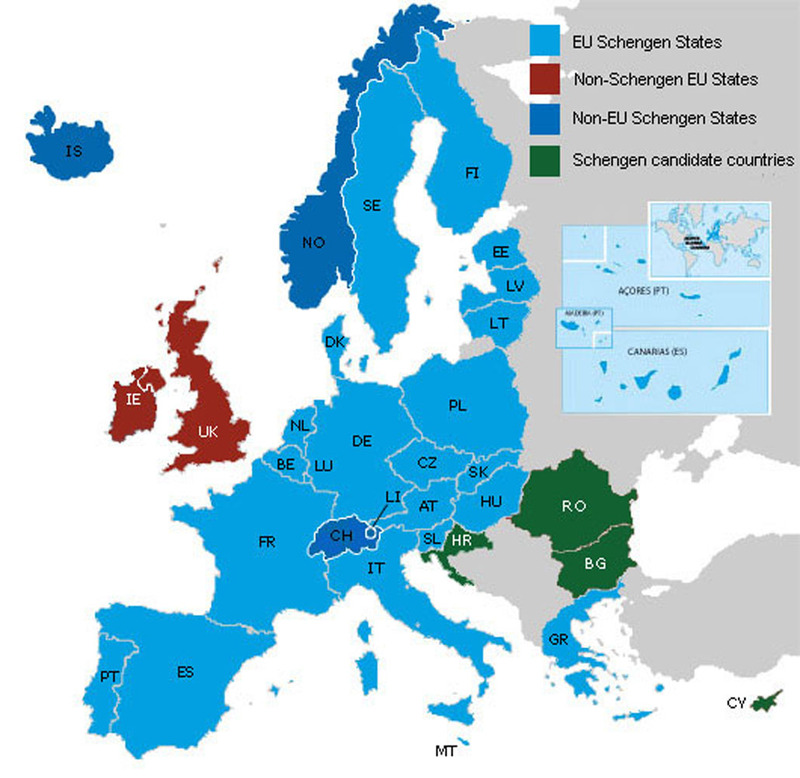 The Schengen Area provides border checks only upon entry into member states, and allows free travel without passports between signatory states. In response to the deluge of migrants, Austria, Germany, Slovakia, and the Netherlands have re-instituted border controls, with various other European nations considering similar actions. Hungary not only built a wall along the Serbian border, but is also considering (or already erecting) a fence on borders with EU members Croatia and Romania. As European states build walls between themselves, the idea of a border-less Europe is quite literally disappearing. The ideal of borderless travel is directly tied to the Four Freedoms that serve as the foundation of the European Union. The refugee crisis has reignited the debates about what it means to be European. While the more prosperous Western European states have been receiving large numbers of Muslim and Asian immigrants for decades, the former Warsaw Pact nations of Eastern Europe have not. France and Germany, for example, have been the destinations of millions of migrants that have been assimilated to their respective cultures to varying degrees (although not without difficulty). The Eastern European members of the EU, however, are still nearly homogeneous, each comprised almost entirely of self-identified white Christian Europeans with no significant recent history of non-European migration. The different national perceptions of identity politics between West and East is the crux of the problem. On 3 September, Hungarian Prime Minister Viktor Orbán explicitly labelled the refugees a threat to Europe’s Christian identity, “We shouldn’t forget that the people who are coming here grew up in a different religion and represent a completely different culture… this is an important question, because Europe and European identity is rooted in Christianity… is it not worrying in itself that European Christianity is now barely able to keep Europe Christian?” The prime minister sees multicultural France, with its large North African population, and Germany with its sizable Kurdish and Turkish minorities, as a warning to his fellow Eastern Europeans about what could happen if the refugees were allowed to stay. “We don’t want to be like them” he almost seems to say. Nation-states erecting walls and barbed wire fences echo a not-so-distant, unpleasant past. Eastern Europe is by no means united in response to the crisis. Croatia, which opened its borders to migrants on 16 September in response to Hungary’s completion of its fence along the Serbian border, closed them just two days later. In an almost schizophrenic reaction, Croatia began busing migrants to the (as of yet) unfenced Hungarian border. Responding to this action, Hungary’s foreign minister, Peter Szijjarto stated, “Instead of honestly making provision for the immigrants, it sent them straight to Hungary. What kind of European solidarity is this?” Szijjarto captured the sentiment of disunity and made perhaps the most poignant comment regarding the issue, “Rather than respecting the laws in place in the E.U., they are encouraging the masses to break the law, because illegally crossing a border is breaking the law.” Croatian Prime Minister Zoran Milanović bluntly replied, “We forced them (Hungary) by sending people up there, and we’ll keep doing it”. Croatia seems content with letting migrants in, as long as it can pass them off to Hungary. Unity indeed. This is the defining moment for the European Project. The refugee crisis could be the wake-up call Europe needs to recommit to the ideals of the European Union, else it could be the driving force behind its dissolution. Western Europeans need to take care to ensure the substantial inclusion of a very nervous and frustrated East, concerned that in any major decision, national sovereignty will simply be pushed aside by another round of majority voting in which a unified West will always win. This is not a sustainable state for the future of the continent. Nation-states erecting walls and barbed wire fences echo a not-so-distant, unpleasant past buried just barely beneath the surface: a Europe divided against itself. Europeans must seize this moment to forge a real union or they will soon find the idea of a singular Europe relegated to a footnote of history. It is in these moments of doubt and discord that Europeans must remember one simple fact: that Europe will always be its best as one, rather than divided against itself. If you are reading this article you are probably a user of social media. If you have been using it for a while, you may even realize the power of social media to inform, shape perceptions, create communities, and of course, to misinform. There is no doubt we can learn a tremendous amount of things from reading Twitter for example but we often overlook the potential of social media to provide understanding. There is a myth in military circles, a social media myth, that if we look hard enough, we will find some golden tidbit that will tell us how to win. No one makes this mistake more often or more decisively than senior military officers seeking accurate intelligence to drive operations. While most avoid social media themselves, they know it makes available a tremendous amount of information, and to a greater or lesser degree they all give lip service to its importance. But the disappointing fact is that the vast majority of senior military officers have no idea whatsoever how to maximize social media to benefit their intelligence and operations processes. Worse, these officers are learning exactly the wrong lessons about social media from faulty training simulations entrenched in military exercise programs. A network graph of the 2014 UNWRA School bombing. Note the easily visible relationships between communities of pro-Palestinians (green), pro-Israelis (light blue), journalists (grey), and American conservatives (dark blue). Communities that share more connections appear closer together. Why do I pick on senior military officers? Because although they accept social media is important, they almost uniformly resist using it. Their reasons range from concerns about privacy and security, to perceptions that social media is a venue for teenage nonsense rather than the serious business of military commanders. This lack of engagement and experience with the tool deprives them of understanding and leads to misperceptions. A perfect example of this is a recent story about a successful air strike in Syria against a command post of the Islamic State of Iraq and the Levant (ISIL). According to a statement from the commander of US Air Combat Command (ACC), their targeting staff derived the location of the headquarters from an ill-advised post by a Twitter-happy ISIL fighter. While this sounds like a terrific victory, combing through tweets for actionable intelligence is probably a waste of time and misses the real value of social media sites that are more useful as a source of big data than of targeting data. Take Twitter as an example. Twitter averages about 500 million “tweets” per day. Just to put that into perspective, that’s 6000 tweets per second. Even with automated tools, finding one tweet that contains useful information is an enormous effort to say the least and it’s only the beginning. Interpreting the accuracy and reliability of a single tweet will be very difficult indeed. Here’s why: a tweet is 140 characters of data with extra allowances for hyperlinks, pictures, and location data. There’s not a lot to go on there and while a tweet is attributable to the person that generated it, that person’s identity can never really be verified. Let’s ponder for a moment the fact that according to ACC, a military officer somewhere made a decision to drop ordnance based on the digital equivalent of an address scribbled on a piece of paper by an unknown individual and posted on a bulletin board with millions, no, billions of other similar notes. That’s an incredibly low standard by which to make such decisions and the possibility is extremely high that there is more to the story than is available in the tweet. Though we have to assume there were other sources of intelligence applied to verify this target, this is not what ACC’s statement suggested and it does not change the fact that they must have spent an enormous amount of man hours and computing power to find and interpret that tweet. The question is: was it worth it? ISIL will undoubtedly tighten up its operational security, making this kind of targeting even more rare than it already is. Worse, ISIL will learn from this. What’s to stop them from falsifying targets, wasting coalition resources or luring it to drop bombs that will cause civilian casualties or worse? When that happens, and it will happen, the use of single-source data from unverifiable individuals will come into serious question as a basis for targeting decisions. Surely the intelligent and well-trained staff officers of the United States Military have figured this out. But they have not figured it out, or at least the most senior leaders among them haven’t. Senior military officers that range in age from the late-30s to the mid-60s simply did not grow up with social media as a part of their lives. Some have started to use it but are bucking a military culture that is social media-skeptical. Secondly, although American officers are generally well-trained, they are trained in the wrong techniques when it comes to social media. To illustrate, consider one aspect of the synthetic social media environment used in exercises at NATO’s Joint Warfare Center (JWC). Continuing to perpetuate the social media myth will further entrench the wrong lessons in the minds of our commanders and ensure that using social media for targeting is the enemy of using it for understanding. Making social media sites like Twitter a useful or reliable source of information will require too much in the way of resources and will produce too few positive results and indeed increasingly negative ones as the enemy adapts. Western militaries simply must change their approach to social media as a tool, viewing it not as a source of targeting data but as a gateway to big data. Training aides like Chatter must replicate big data but doing so will require involvement of the public. While this is not easy and carries significant risk, it is manageable risk.